Summer 2018 Blog #10: Fountain of Youth? For the final blog, I'm asking you to compare and contrast something new and something old about the same topic: the concept of immortality. The new one is a piece by Brian Merchant from Vice.com about cryonics which is the relatively recent technological ability to freeze ourselves after death in the hopes of being somehow brought back to life at some later point. Obviously, this technology is fraught with some serious questions about "playing God." Is it ethical? Who wouldn't be immortal if you had the means? On the other hand, who would? It's Calypso offering Odysseus the chance to be one of the gods. The older one from 1837 is a famous American gothic short story by Nathaniel Hawthorne called "Dr. Heidegger's Experiment." You can read it here, or listen to it here. When you are done reading, please write a 300 to 400-word response that distills your thoughts on immortality as presented in these two pieces with at least one reference to both works. Note that a reference does not have to be a direct quoted passage (but it could be). Here's the easiest one. For blog #9, if you can predict the exact date of the first full-day snow day, you will win a $5 gift certificate to Uncommon Grounds! To win, you have to guess the exact day. So, bust out your calendars and make your picks. Please note that whoever chooses a date first wins the competition; my advice is don't choose the same date as someone else. Also, you have to actually remind me because I will probably forget. I don't know about you, but I'm totally, 100% fascinated by nature in all of its resplendent forms. Read and understand the article. Quote a passage from the article that relates in some way to the question "What are we to make of these claims [about the continued existence of the Tasmanian Tiger]?" Write a 250 to 400-word paragraph that explores your reaction to your passage. Summer 2018 Blog #7: Is Kidspeak Conscientious? In The New Yorker article called "The Conscientiousness of Kidspeak," Adam Gopnik argues "[discourse markers] should be imported as a sign of a meticulous grasp of the truth that there is no settled truth, that all narration is subjective, that every account must always be qualified." Note that his claims on this subject are both fairly sophisticated and definitely not widely accepted by either most teens or adults. To make sure you totally understand what his argument about "discourse markers" actually is, you may have to read the article two or three times and look up some difficult vocabulary words. In around 200 words, to what extent, if at all, do you agree with his assertion on this verbal trend? Feel free to offer your own examples from your experience. In short, do you buy that “'So we, like, um, went to the pizza place, but the, uh, you know—the guy?—said, like, no, so we were, like, O.K., so we, uh, decided that we’d go to, like, a coffee shop, but, uh, Colette can’t—she has, like, a gluten thing. You know what I mean? So that’s, like, why we came home, and, um, you know, would you, like, make us eggs? '” actually means “'So we tried, as it were, to go and enjoy a pizza, but the, so to speak, maître d’ of the establishment claimed—a statement that we were in no social position to dispute—that there was, so to speak, "no room for us at the inn."'" ​For blog #6, please go here​ and follow the directions. Hi there! I'm back. I had a fantastic time hiking and eating fresh seafood from the Saint Lawrence Seaway in Quebec with an old friend from high school. 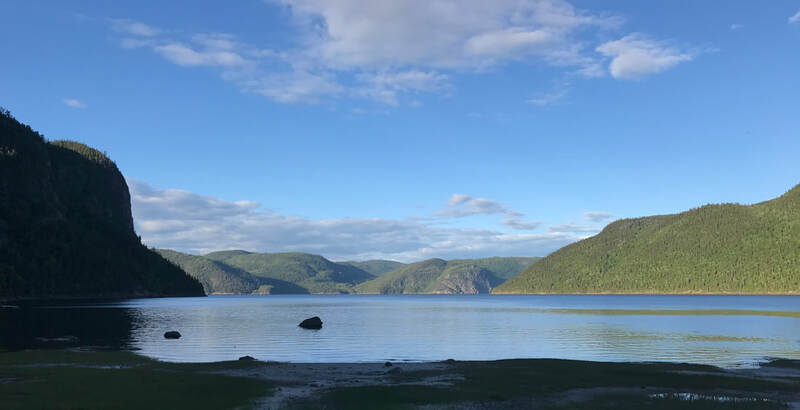 The photo above is from Saguenay Fjords National Park. The fjord there is 600 to 800 feet deep and features the only remnant population of beluga whales below the Arctic Circle, and we were somehow lucky enough to meet a local guy (our waiter!) who took us for a sail on the fjord. It was really amazing. Imagine 500 to 1,000 foot cliffs and a drop off so deep you could practically spit on the wall as you come about (sailing term for a 180 degree turn). If you do love whales like me, the Saint Lawrence Seaway near Tadoussac, Quebec is one of the best places to see them. In July and August, you can see humpback, fin, blue (just the largest animal to have ever lived on the planet Earth), and beluga whales. They feed on the krill where the fresh water fjord meets the salt water. We did see a beluga at a distance from the shore, but June is still a little early in the season. Not that I actually want this dynamic to change, but for the life of me, I absolutely cannot fathom why more Michiganders don't head this way in the summer. The number of Michigan plates we saw after Toronto? Zero. Here is what the first part of the trip looks like on Google Maps. Next, we took a car ferry across the Saint Lawrence Seaway (actually very inexpensive) and headed another three-and-a-half hours east to the Gaspésie National Park where we climbed Mont Albert. It was a 10-mile loop hike gaining almost 3,000 vertical feet. As you can probably tell, I live for this kind of stuff. Anyway, it was fun and the perfect way to put some punctuation on the end of the school year. OK, back to the blogs. For blogs #4 and #5, I am asking you to choose one, two, or three long-form non-fiction essays from the "Best Articles" section of longform.org with a combined total of 45 minutes of reading. The topics are totally varied from sports to politics to crime to technology to popular culture to science to business to bowling. Yes, bowling! Again, the reason I want you to have this experience is simply to see the level of complexity and depth that these types of articles explore. These are not your average 1,500-word essays that we encounter in the newspaper. Anyway, when you click on the link, you will notice that there are 27 different pages ~ each with more than 20 articles, so the good news is that you've got options. Next, notice that for almost all of the articles, it estimates how long it will take you to read it. Most are 20 to 25 minutes. Some are 15 minutes. Others are over an hour. I'm asking you to read a minimum of 45 minutes combined for both blogs, so if you accomplish that requirement all in one single article, that's totally fine. If you need to read three fifteen minutes articles, that's fine. However you slice it up is up to you. In terms of the writing, I'm looking for 300 words for each blog: a short 150-word paragraph of summary and a short 150-word paragraph of your personal response. If you decide to "kill two birds with one stone" and read one of the articles that is 45 minutes or longer, then just do one longer 600-word entry. Two more things: there are a few pieces on this site that are more on the adult side of things. I'm asking you to use your best judgement and go with something that you would say is appropriate for school. PLEASE clearly label your entries, so I can easily figure out which is blog #4 and which is blog #5. Finally, you do not have to do these at the same time or in the same comment. Do one now and one later if you like. Summer 2018 Blog #3: "18 New York Times Articles You Should Read Before You Turn 18"
Hi there! How are you? Are you settling into the ease of summer? 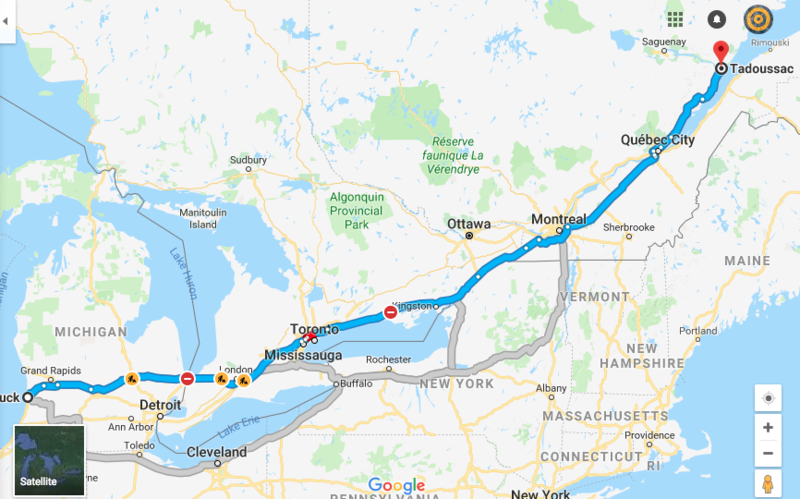 The reason that I'm publishing so many blog posts today is that I'm heading out of town tomorrow morning on the early side of things in the direction of Ontario, Quebec, New Brunswick, Nova Scotia, Newfoundland, and possibly Labrador. For Blog #3, please read any one of the eighteen articles in this collection of articles selected especially for high school students. They are from 2016, but I think they're still relevant. If not, choose one of them that is. In sentence one, give a one-sentence summary that cites the author's name, the title of the article in quotation marks, and uses a verb of analysis. Then, offer your opinion and relate it to yourself, our school, and/or life in our society as you experience it in 2018 in 200 or 300 words. For example: In "Today's Exhausted Superkids," Frank Bruni examines the . . .
Canadian author Malcolm Gladwell has an interesting and curious mind. He has written a number of highly-acclaimed books such as The Tipping Point, Blink, and Outliers. Anyway, in 2016, he started a podcast called Revisionist History which he describes as follows: "Each week, over the course of 10 weeks, Revisionist History will go back and reinterpret something from the past. An event. A person. An idea. Something overlooked. Something misunderstood. Because sometimes the past deserves a second chance." "The Lady Vanishes" explores how a female painter in Victorian England disappears after an initial success. ​"Saigan, 1965" digs into some reasons behind intelligence failures associated with the Vietnam War. "The Big Man Can't Shoot" looks at why Wilt Chamberlain decided to abandon the underhand free throw after making 28 out of 32 in his famous 100-point single game NBA scoring record. All of these look at a single person, event, or idea in history in order to make a larger point, and part of what I'd like you to get out of this experience is simply association with an active, expansive, inquisitive, and curious mind which are mental characteristics that you can cultivate. Feel free to listen and comment upon any of 29 podcasts he's done so far. They are mostly between 35 and 45 minutes long, so find yourself a rainy day with nothing to do and hunker down for an entertaining podcast. I predict that you will "actually" like these if you give them a chance. In terms of what I'm asking you to do, please listen to one of the podcasts and then write a 300 to 400-word post that summarizes it and introduces one quoted passage from the podcast with your own personal response to it. Organize your comment into two separate paragraphs by skipping a line. Thanks and I hope you enjoy it. 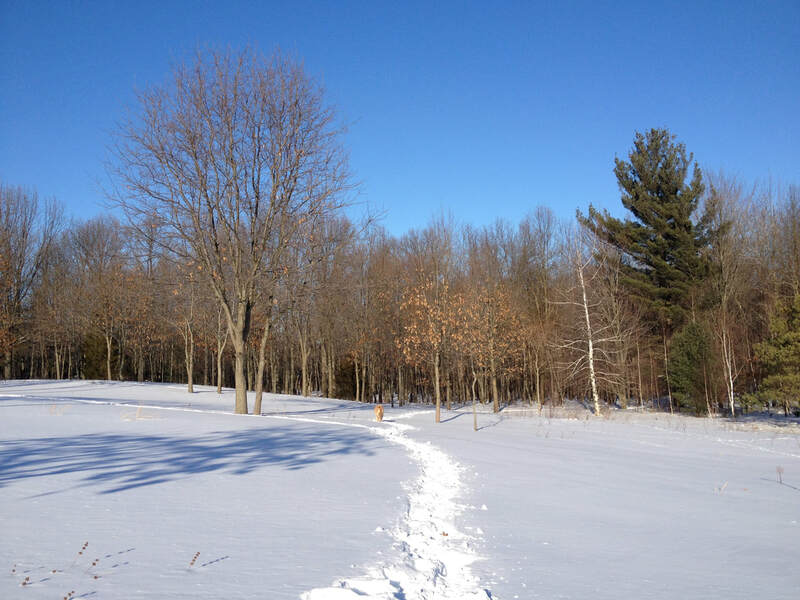 Summer 2018 Blog #1: "The Hawk"
Check out this short three-paragraph essay from The Sun Magazine called "The Hawk" by Brian Doyle. Even though it's not long, it says a lot, I think. Since it's super short, please read it very closely three or four times and then in about 200 words or so, comment upon the author's style, tone, diction, organization, theme, or just your own personal reaction. Support your claims about the piece with textual evidence. How does the author craft this piece to communicate his purpose? What is the author suggesting about the American dream? How is the way in which the author characterizes the reporter a critique of the media? To what extent, if at all, do you think this is a fair criticism? How does the author set up the third paragraph? What do you think will happen to the Hawk? Will he be OK? To me, one of the essential characteristics of a good piece of writing is surprise. What surprised you about this piece? "Seeing" NOTE: This is an older blog that you do not need to do! In Chapter 2, "Seeing," Annie Dillard explores one of the central topics of this memoir: perception. How can we teach ourselves to actually see? ​Type up a passage that makes a claim about perception and then write about what you think it means. Between your passage and your comment, shoot for 300 words. Finally, make a comment upon someone else's entry.